REAL ESTATE SELLS AT 10:00 AM SHARP, FOLLOWED IMMEDIATELY BY THE PERSONAL PROPERTY. 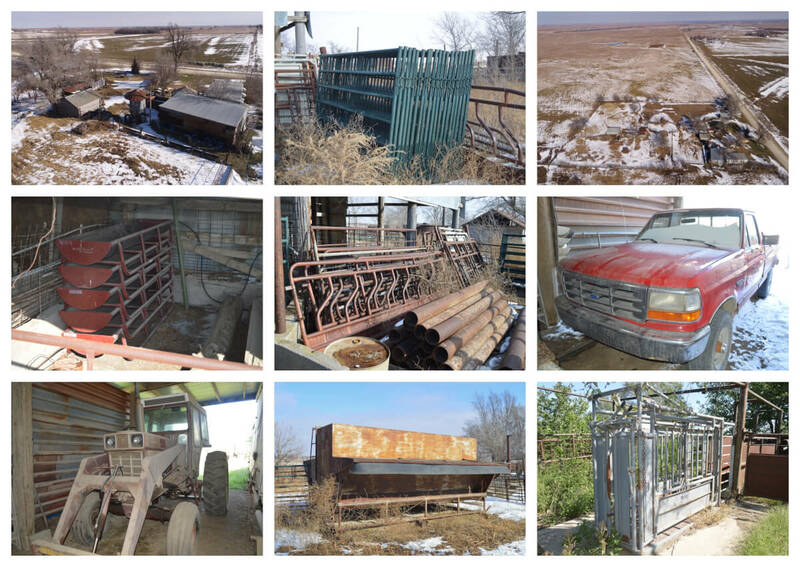 AUCTION LOCATION: From Burns Kansas, North on HWY 77 1 1/2 Miles to 30th, East 3 Miles to Clover (A Rd), 1/2 Mile North to the property. REAL ESTATE DESCRIPTION: 3.32 Acres on the Marion/Chase County line just Northeast of Burns. There are several Ag utility buildings on the property and livestock pens with water. Water is provided by a water well and there is one automatic waterer. There is a second water well that was used in the past as a backup if necessary that is not currently in use. Great property for a backgrounding facility or small grow yard. Good access and utilities! 2017 REAL ESTATE TAXES: $23.92. REAL ESTATE TERMS: Earnest money is $5,000 down at the conclusion of the Auction with the balance due upon Sellers submission of merchantable title and closing. Closing date shall be on or before March 22, 2019. Closing fee and title Insurance fee will be split 50/50 between Seller and Buyer. There will be a 10% buyers premium added to the high bid to determine the contract price on the real estate. Selling subject to easements, restrictions, roadways and rights of way. This property is not selling subject to financing or inspections. Interested buyers need to view the property prior to the date of the auction and have financing available and any inspections performed prior to bidding. All pertinent information is available upon request. All announcements made the day of the auction take precedence over any other announcements or printed material.